Multilingual websites are a standard in the web business for many different reasons. Translated posts and pages conquer a wider audience and open other possibilities in E-commerce. The more people have access to the content of the website, the bigger the chance to expand your business outside the local environment. By enabling users to get the content in their native language, you spontaneously improve SEO, and it is only a matter of time when you’ll be able to take full advantage of it. Don’t forget that multilingual SEO increases your ranking and visibility. Although English is lingua franca on Global Market with more than 55% of the content written in this language, several studies have proved that it’s not enough. If we take that a reader is a potential customer, the conversion is more likely if the information is presented in their language. It is also proven that people spend more time and come back regularly to the websites they can research in their languages. Everyone likes to find comprehensive additional information before making a purchase. When Do You Need Multilingual WordPress Website? However, there are some important factors you should consider before going multilingual. If your business is E-commerce oriented, you sell abroad, or you are planning to, it makes perfect sense. The multilingual website can push you forward, and it’s on you to think about relevant languages. Google Analytics tracking code is a serious assistant providing you geographic locations you receive most traffic from. It can help you a lot in choosing a language in which you should translate your website. Translating your WordPress website can be of utmost importance in overcoming possible stagnation on the local market. Besides that, you can check out the competition and be one step ahead with the reputable multilingual website. In this way, you enable your service or brand to cross boundaries. Good news is that translating WordPress websites is not at all complicated as it might look like. A time when it was necessary to create multisite or include separate WordPress installs has passed for long. There are two main methods to translate WordPress website, and both of them have some advantages and drawbacks. The first method is to translate it manually. If your choice comprises several languages, you must count on significant resources to proceed with the plan. Engaging professionals to do the job is quite expensive, but the end result will be satisfying. The quality of the content, in this case, hasn’t been compromised. The second method doesn’t include human translations. The existing content of your website will be translated with the help of Google Translate Service. The added automated translations don’t require any serious investment, but the quality of translated content might not be as good as you expected. Both of these methods are out of date, but new methods have inherited the best parts. Here we are dealing with the third solution. WordPress repository contains translation plugins that fit multiple needs but to find the perfect one that completely matches your requirements is not an easy task. Do the research and try to comprise all the relevant information about the translation process. A lot of plugins offer both – manual and automated translations or include a third-party app like Google Translate. Why is that so important? Your efforts could be all in vain if the chosen plugin isn’t SEO friendly. A human translator is the best choice for the localized website, but if you intend to offer a language specification optionally, the automated translation would do. Weglot is a reliable and powerful WordPress plugin that completely integrates into a website and makes it available in any language. Its main characteristic are adaptability to your technology without any difficulties which guarantees simple installation and user-friendly operation. That means fast performance and light code, two most appreciated features by WordPress users. Weglot is highly compatible with other WordPress themes and plugins. Additional features comprise SEO multilingual best practice and manual or automatic translations. The last one is a fantastic feature that combines the best of two methods. In this way, the risk of compromising the content through the translation in different languages has been minimized. The translation process couldn’t be more straightforward since Weglot enables easy managing of translations after it was integrated into the website. It only takes minutes after which the plugin detects and translates the content automatically in 100+ languages. Your part is to cooperate with your team, review the result, and manually edit translations through a simple interface. Here you can also order professional translation. Reliability of Weglot leans on the Google best practices of multilingual SEO. Relax, the translated posts and pages will be properly indexed. Translation is a complex process, but we are dealing with the plugin that simplifies it to the maximum. People love Weglot because it does the entire job (translates all of the content), and it’s effortless to use. Therefore, it is used by many companies, governments, corporations, etc. You can try it for free and assure how it works, without any technical issues online translation may cause. After a simple installation, you are about to set a multilingual website, and you probably wonder how much time does it take. Less than 5 minutes – exactly! Sit and watch how the site runs, and pay attention only to the content to be translated. Technical details are under control, but what you can do is to engage other team members or professional translators in contributing inside Weglot. Easy installation doesn’t mean much without easy managing. The plugin features an all-in-one platform containing all the translations. The list of 100+ languages is more than enough, but you choose wisely, in accordance with professional needs and future plans concerning your business. Most important, automatic and human translations are not the opposites in the Weglot plugin. Although world’s best automatic translations are at your disposal depending on the language (Microsoft, DeepL, Google and Yandex), you have access to professional translators as well. They are reliable partners inside the Weglot you can provide at any time. A simple interface enables quick and easy review and editing while in-context editor follows the design and structure of the websites and translates the content directly inside. You can instantly realize how the translation will look like, and your website’s run will not be changed. Specific integrations through a plugin or scrip guarantee full compatibility. By translating your WordPress website, you get more traffic and improve conversion rate since Weglot is SEO optimized. Multilingual SEO comprises a title, metadata, hreflang, etc. by following Google’s best practice. Visitors auto-direction is an advanced feature based on the browser settings. It enables you to offer pages in the visitors’ language. Same applies to the crucial conversational steps, from the initial landing page to the email confirmation. In case of any trouble, you can lean on Weglot human support at any time. 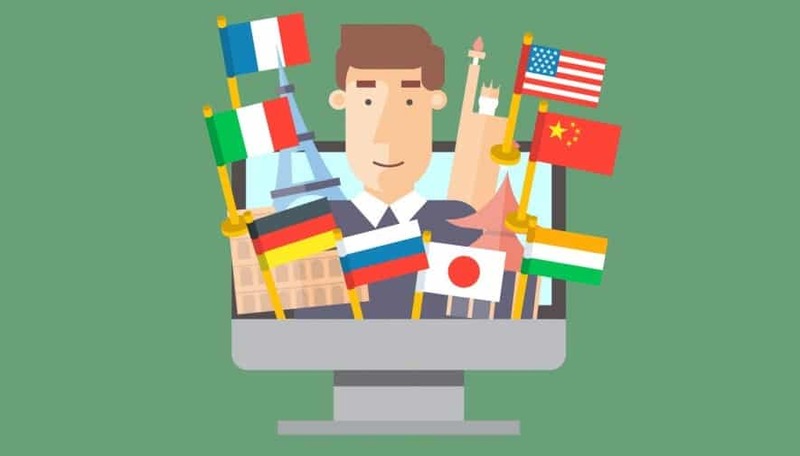 If you have targeted foreign markets for your service or brand, website localization is a must. It is an investment that pays off in short through growing business and establishing a connection with the global audience. Offering beneficial information in the language of foreign visitors promotes your business and reaches the wider audience. Weglot is search engine optimized, and it is one reason more why it is so advantageous. Translation of full websites is a big deal since it provides visitors and potential customers complete information in different languages. Appropriate currency and unit measures improve trust and drive sales while bringing your company closer to clients.